The P-101 Submarine Engineered Operating Cycle/Selected Restricted Availabilities (SEOC/SRA) Support facility located at Naval Base San Diego is the U.S. Navy’s first fixed-structure over water for the maintenance and repair of the Pacific Fleet’s southern-based submarines. 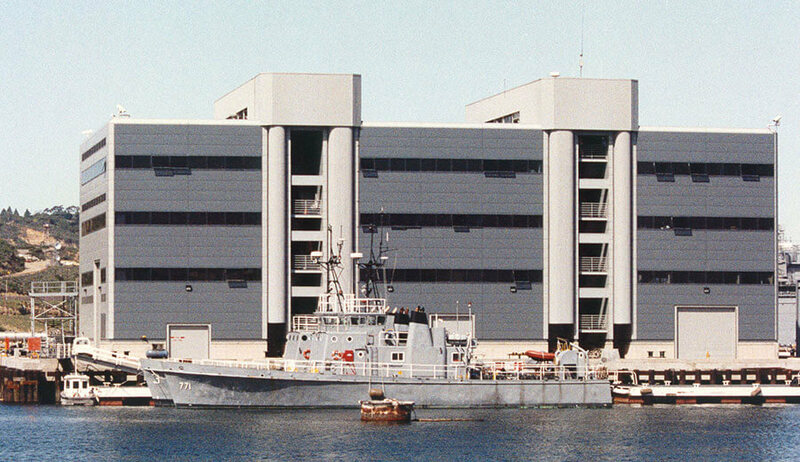 Prior to Soltek’s construction of this unique facility, maintenance activities for the Fleet were restricted to the limited capabilities of floating tenders (ships). 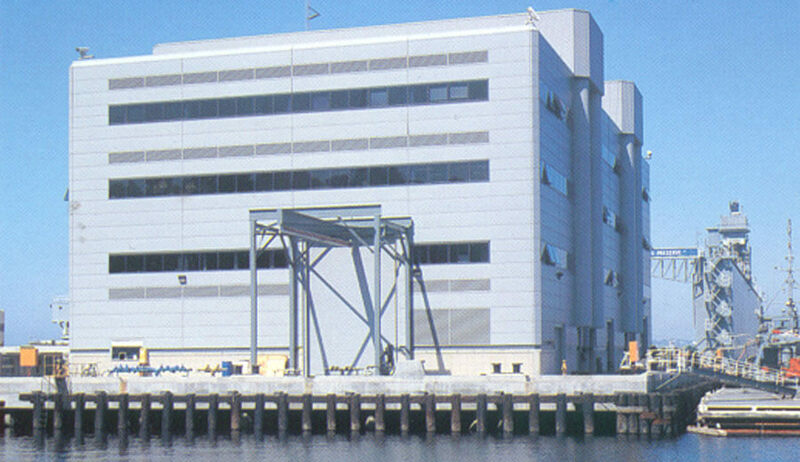 The facility is a four story structural steel building with overhead cranes, a high bay repair area and heavy industrial equipment constructed on a marine pier of pre-cast concrete piles with pre-cast and cast-in-place concrete decks. The piles were jetted into the bay bottom using high pressure water while being supported from a large barge mounted crane. The new pier is adjacent to and seismically separate from an existing pier structure and required special foundation considerations to avoid damaging any existing piles. The new pier also includes berthing constraints with all associated bollards, fenders, equipment and utility services. The top three floors of this unusual structure are clad in a combination of prefinished aluminum wall panels and glazed curtain wall, with the first floor of precision masonry. 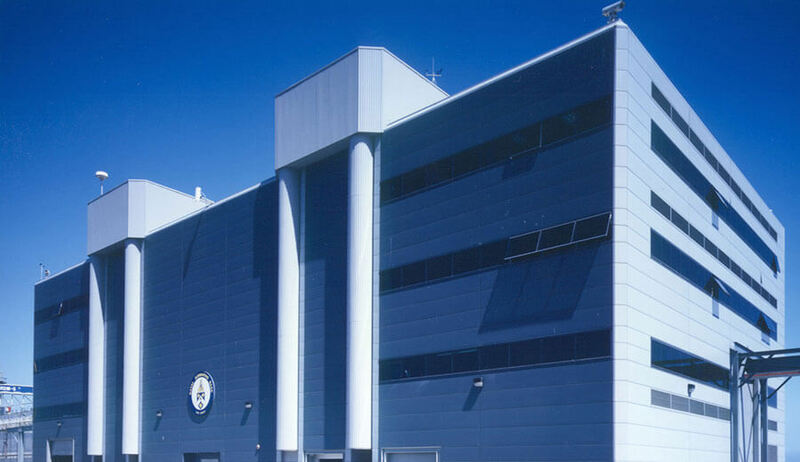 In addition to the maintenance and repair bay located within the structure’s first two floors, the facility contains administrative offices on the top two floors.